To all of my close friends and acquaintances, this may come as quite a shock. I almost never wear headbands. I know, I know, you are all asking the same meaningful question: What is a true prep without her coordinating, potentially bow adorned, very likely bling bedazzled, signature headband? That is a very good question. Should I blame it on the altitude? The lack of oxygen and tightness of the head accessory caused a sudden loss of pressure to my brain? Could it be the dryness in the air? Maybe my headbands were increasing breakage, and let’s be honest, who in their right mind actually wants split ends? Alas, no. I have ceased my playful hair décor for one very simple reason: It looks absolutely ridiculous to be the only person in Colorado sporting a headband, unless of course its an athletic head band you wear while trail running. 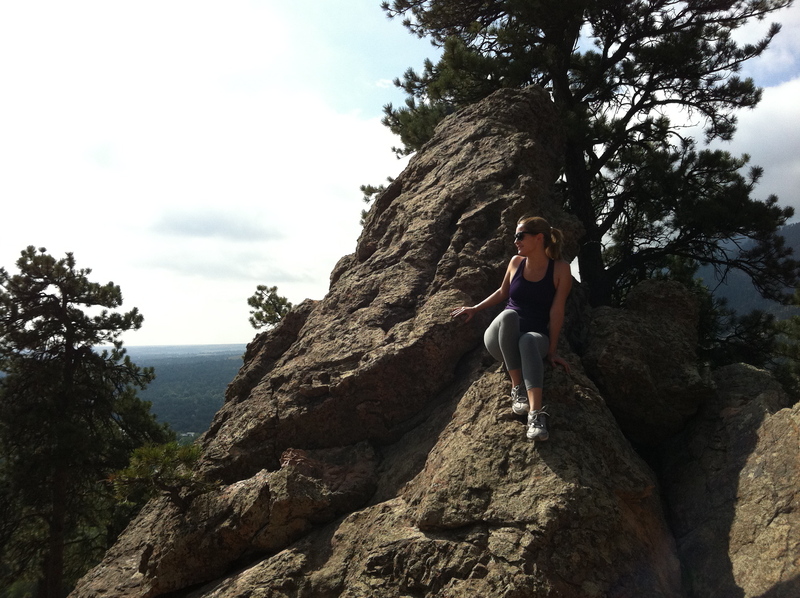 Hiking up Mount Sanitas in Boulder, CO.
How could anyone resist the call of the mountain when you live a matter of blocks away? I mean, seriously, Boulder is the Mecca of the outdoorsy. Eleven thirty on a Tuesday morning? People are hiking. Four twenty on a Sunday evening? People are hiking. 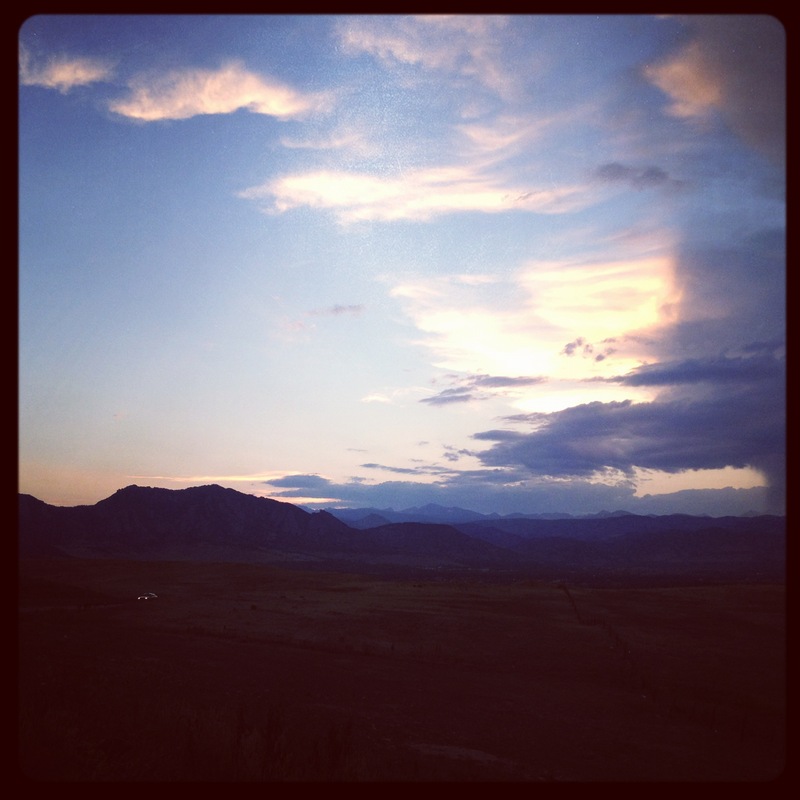 Why do you think all of the worlds specialty organic grocery stores started in Boulder? Health nuts and athleticism run rampant. It is that sense of accomplishement, that absolute rush of adrenaline, when you reach the top and see all of creation below, and the mountains beyond. There’s nothing quite like being on top of the world. Or at least at 8,000 feet. 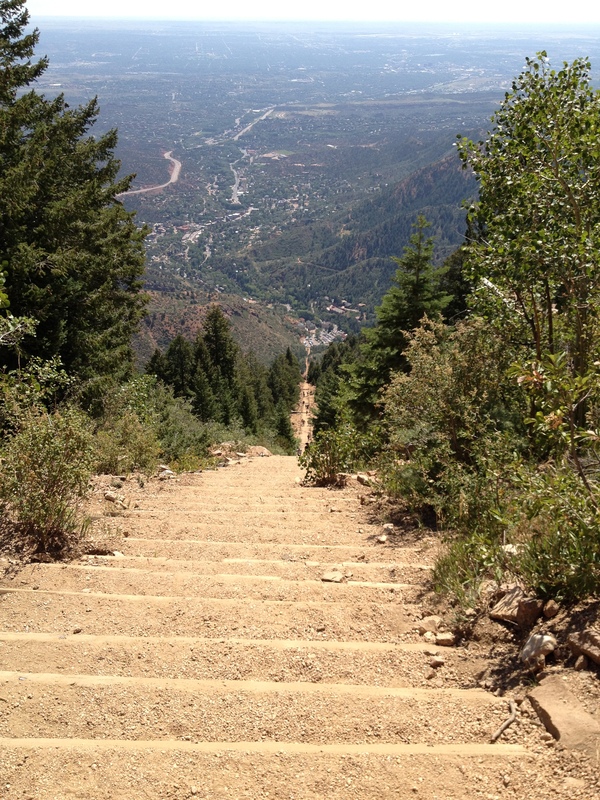 The view from the top of the Incline in Manitou Springs. One mile up, 2,000 foot incline. This coming from your least coordinated, reasonably healthy, but not athletic average preppy twenty something. Don’t get me wrong, pregnant women still pass me on the climb up. But there’s something about the lack of humidity and absence of an incessant mosquito population, combined with the constant sunshine and breathtaking vistas that forces you outside. I mean seriously, look at this place! 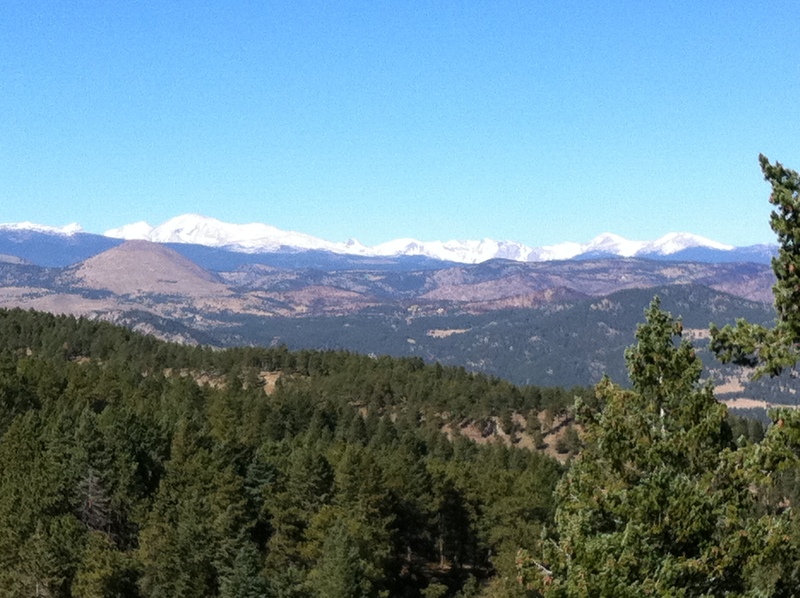 Views of the mountains from the Gregory Canyon/Ampithater trail in Chautauqua. Okay, it’s not a total transformation. It’s just a girl realizing that the outdoors and meaningful exercise can be fun! I must mention, hiking boots are significantly cuter than they used to be. Mine are rather darling, and my trail running shoes are even more precious! But I have perfected the cute messy hair knot with a headband to class it up… they do have to make the occasional appearance afterall! So about a year and one month ago my husband and I made the 1,700 mile journey from Bethesda, Maryland to Boulder, Colorado. Having lived in Maryland for 13 years of my life, a major feat for any military brat, I had come to love and embrace all things preppy. While the DC area gave me culture, style, incredible friends, a loving husband, and not to mention a place to call home, I knew it was time to leave. Maybe it’s the meandering spirit in me, the need to travel and experience something new, but my husband and I both knew this was the time for change. That is why, two weeks after tying the knot, we packed up our beautiful home, wished our family and friends a fond farewell, and found ourselves on highway 70 travelling west. No really… one road… the whole time… We crossed into Pennsylvania early the morning of July 9, 2011, then continued through Ohio, Indiana, Illinois, Missouri, and stopped for the night on the Kansas border of Kansas City. 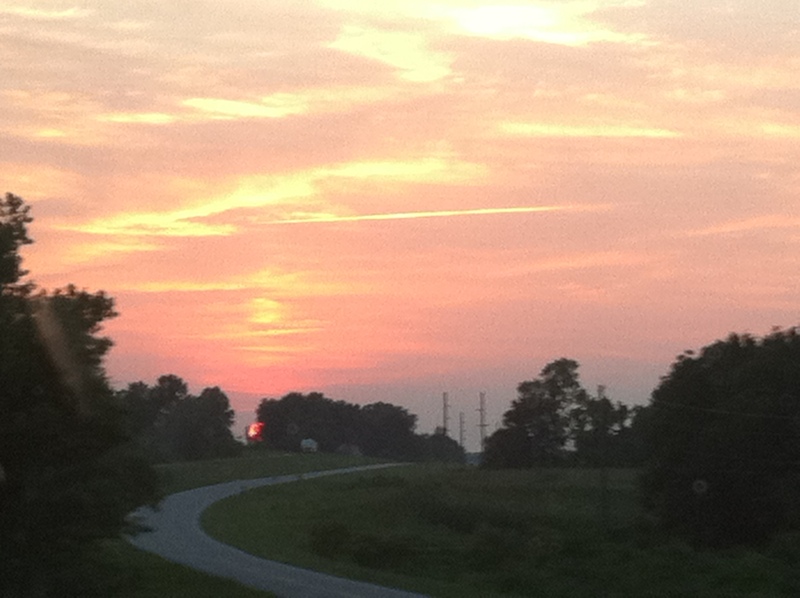 Missouri boasted some incredible sunsets, and it was hard to believe that by the end of one day, we could already be halfway across the country. It was that evening we discovered a little-known fact: Panera Bread Company actually started as the St. Louis Bread Company. Who knew? 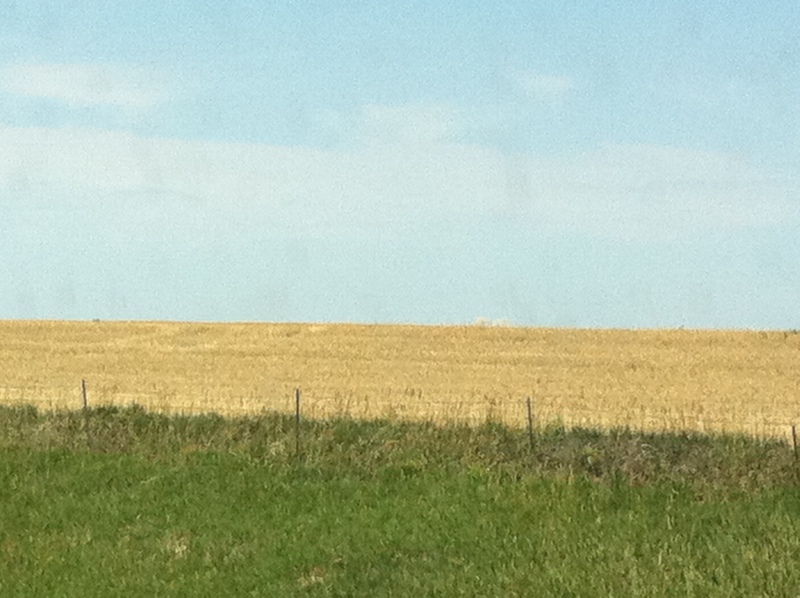 We woke early the next morning and traversed through the dreaded bore that was western Kansas. Sorry for those who love Kansas, but we were given a very serious warning: “Be careful not to fall asleep. You may hit something in an hour.” I think that’s all the image you need, but to satisfy your curiousity, I have provided a perfect example of what western Kansas looks like. Literally the entire state, besides Kansas City. Needless to say, we were extremely thrilled once we crossed into Colorado, until we realized it was still another 2 hours until we would get to Denver. And by the way, I am not a Kansas hater. Most of eastern Colorado looks the same way. Imagine my despair! But by about 2pm on July 10, 2011, we were officially done with our journey, and mountains were in full view. 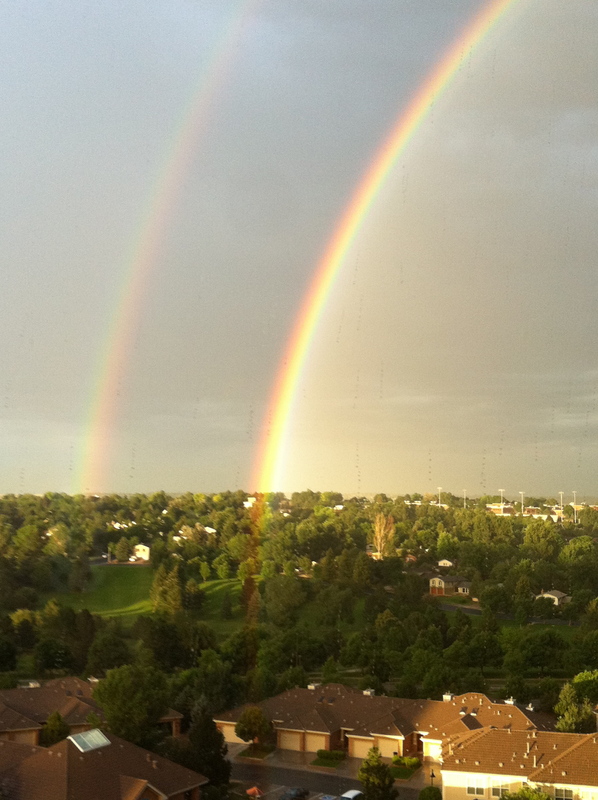 It was definitiely a sign that we had made the right decision, because on our first night, Colorado graced us with a magnificent double rainbow. Not one, but TWO beautiful beams of radiance. So Mr. Destiny, I am paying attention. And yes, we could have stopped along the way to sight-see and tour, but really, isn’t moving stressful enough? Why add seeing the world’s largest pecan to an already long day? I kid you not. It can be found in Brunswick, Missouri. So now here we are, a year later, happily settled, and mostly adjusted. Although my pearls don’t make frequent appearances, Colorado will never change the prep in me. My new challenge is finding that perfect integration of mountain causal (which should be a style classification all its own) and perfectly prep. It’s a challenge I eargerly accept!